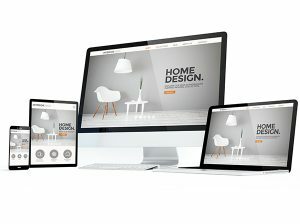 Modern Design - Does your website have a fresh look and feel? Or does it look old and tired? Functional & User-Friendly - Can your website visitors easily navigate and is it a seamless experience? Optimized To Convert - Is your site specifically tailored to create the actions you want visitors to take? Like contacting you through website forms or by calling you? Mobile-Friendly - How does your site function on smaller screens like tablets and smartphones? Is your current site being penalized by the new 2017 Google mobile guidelines? Optimized For Search - Google makes over 500 changes every year to the algorithm they use to rank websites in search results. Is your website up to date with all of the latest technical SEO specifications? Secured - Does your website have all of the current necessary security features like SSL / HTTPS? If your URL starts with “https,” you’re using an SSL certificate, which means any personal, sensitive or financial information that your customers share with you on your site is encrypted, protected and secure. A secure site builds your customers’ trust and meets Google’s latest standards. Chances are you may not know the answer to some of these important questions, but if you want to compete in your local market online in the future then you really need to have these answers now! Find out what’s working and what needs improvement. This free report will show you any technical SEO issues with your website that are preventing it from being found effectively by customers & potential customers.